If you’ve recently painted your home, or even one room in your home, chances are that you have a stack of paint chips tucked away in a drawer somewhere. Don’t throw them away! 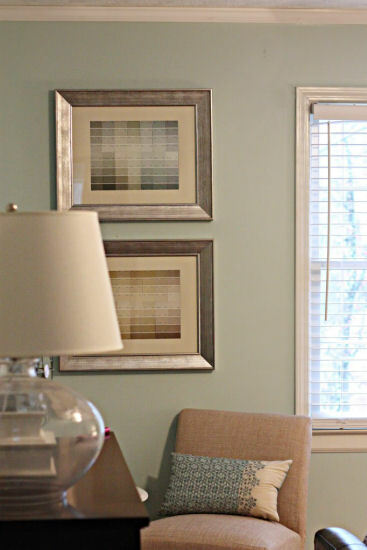 There are plenty of ways you can turn those paint chips into decorative items for your home. And the best part? Paint chips are free! 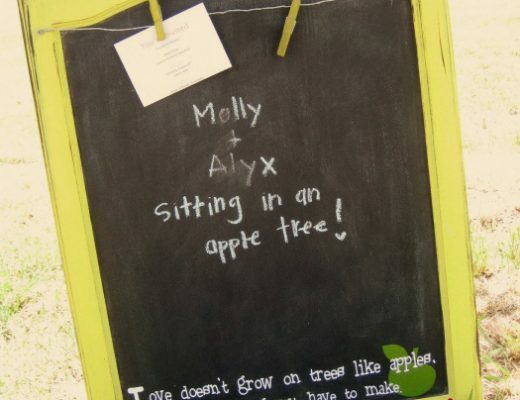 Here are a few ideas that I’ve gathered from some creative and crafty bloggers. 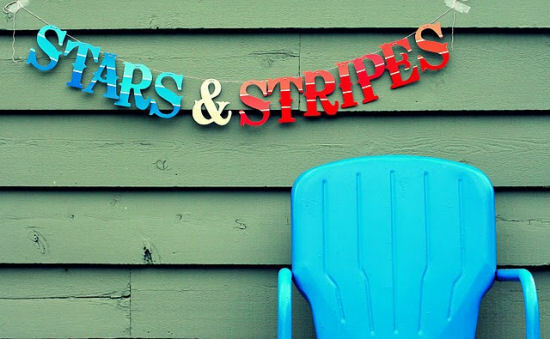 Cut multi-colored paint chip cards into strips lengthwise, and then attach them side-by-side. 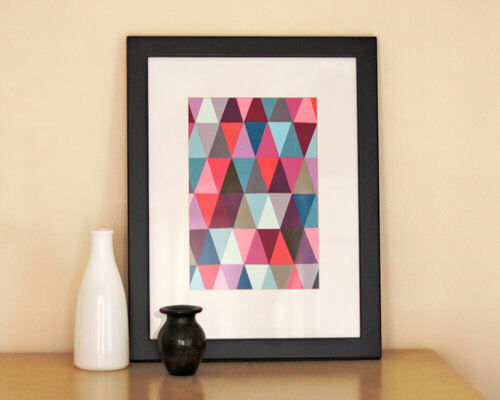 Mat, frame, and you’ve got a great piece of modern artwork. From The 3 R’s. 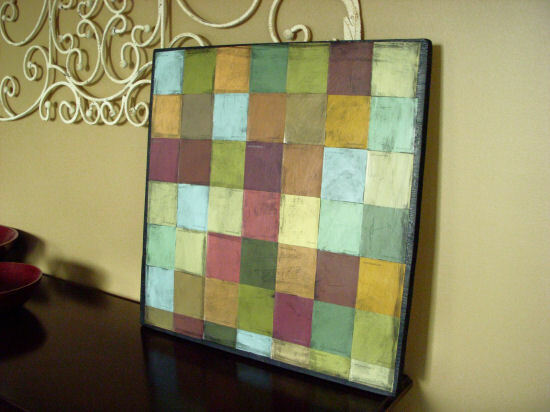 Create an antiqued mosaic wall hanging with square paint chips. See Hope Studios for more details on this project. 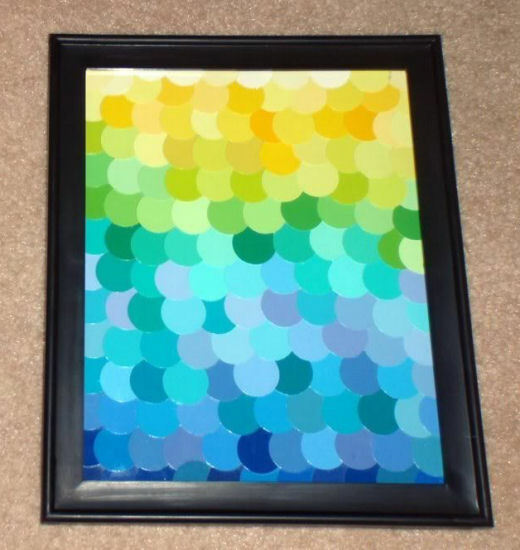 Create an amazing visual effect with paint chips cut into triangles and attached side-by-side. See how it’s done at How About Orange. At a glance, you would probably never guess that this stunning crackle finish mosaic clock is made from paint chip cards, but it is! See how it’s done at Crafts By Amanda. Do you have an outdated fan deck of paint chip cards? 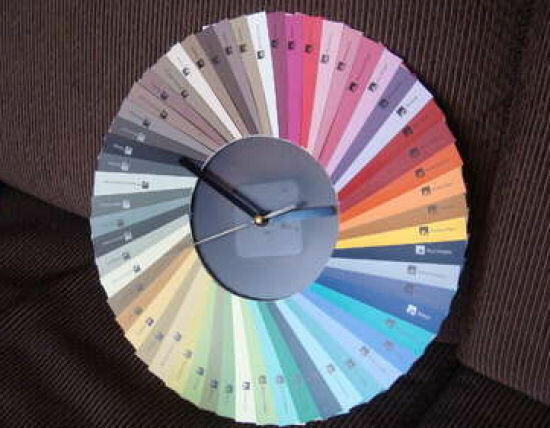 Make them into a clock! 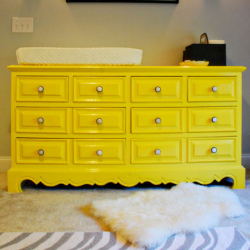 Get the full DIY at Instructables. Circles, circles, and more circles create a stunning effect. The Crafty Scientist has the details for you. 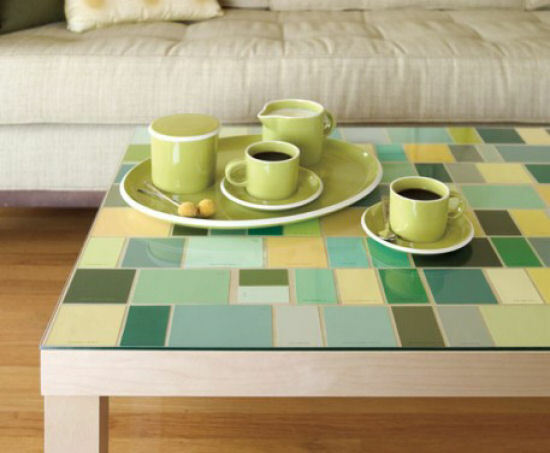 Use paint chips to create a faux tile mosaic on a table top, a backsplash, or any flat surface. Just be sure to cover it with glass or seal it with a clear coat sealer if it’s going to be used in a high traffic area or an area with water. From ReadyMade. 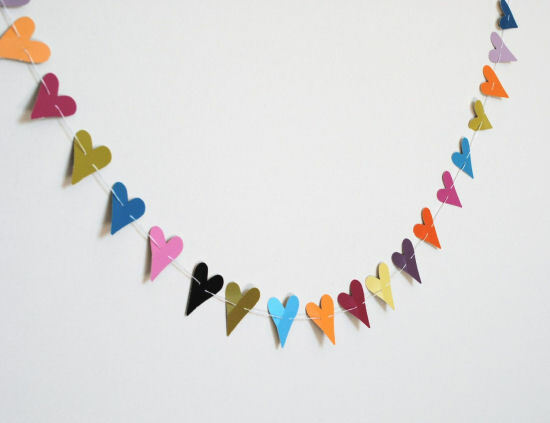 Use a paper punch in the shape of your choice, and string them up to create a colorful garland. Grace and Light has the details. 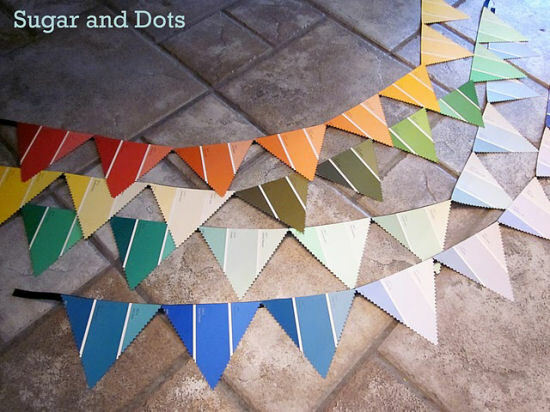 Create a colorful pennant bunting with large paint chip cards. Learn how at Sugar and Dots. 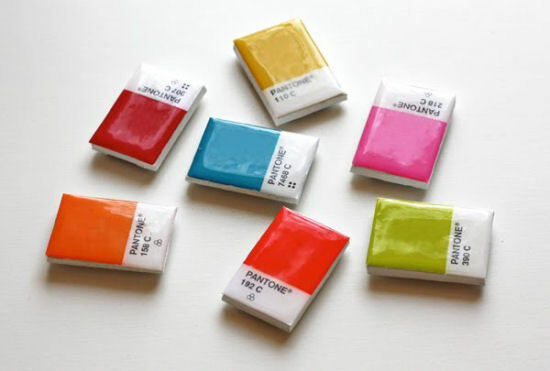 Turn your Pantone paint chips into cute little refrigerator magnets. How About Orange shows us how it’s done. Young House Love created a stunning visual effect by simply propping paint chip cards on wall ledges. Little effort with a great result! 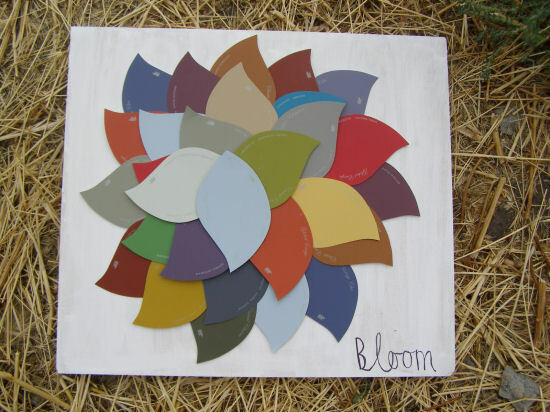 Create a colorful flower out of Behr’s petal-shaped paint chips, or cut your own petals out of any paint chips you have on hand. See the details at Oops I Craft My Pants. 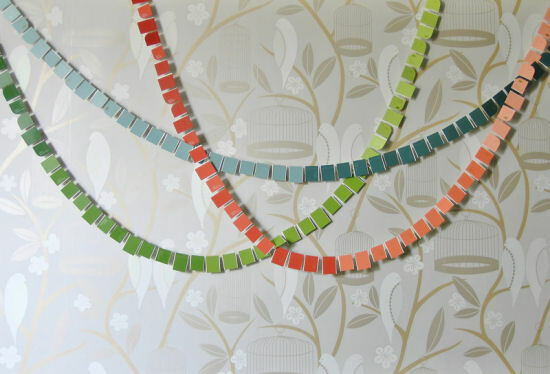 Create these simple yet beautiful garlands with varying sizes of rectangles cut from paint chips. These are perfect for a celebration, a child’s room, or to brighten any room that needs a bit of color. See the details at My Hands Made It. 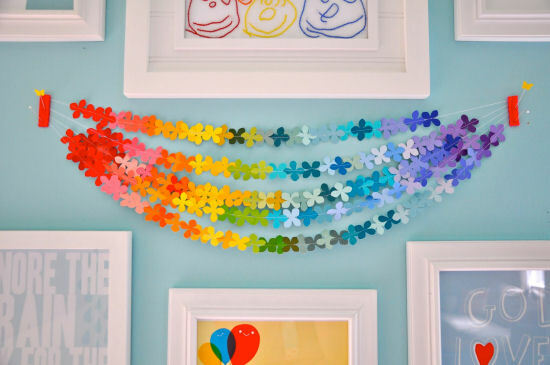 Create an adorable rainbow flower garland with a paper punch and brightly colored paint chips. Little Bit Funky shares the details. 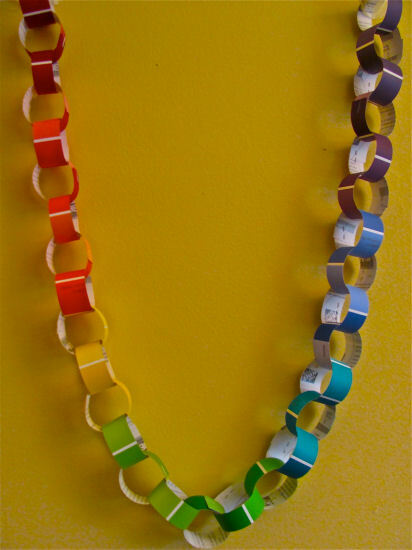 Create a colorful paper chain with strips cut from paint chip cards. See The Chocolate Muffin Tree for more details. A Bit Of Sunshine shows us how to make a banner with a customized message using paint chip cards. 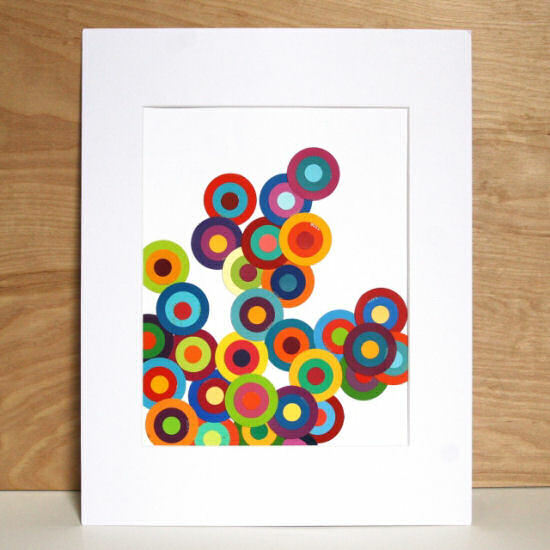 Create bold modern artwork by layering circles in varying sizes. Get the full DIY tutorial at The 3 R’s. 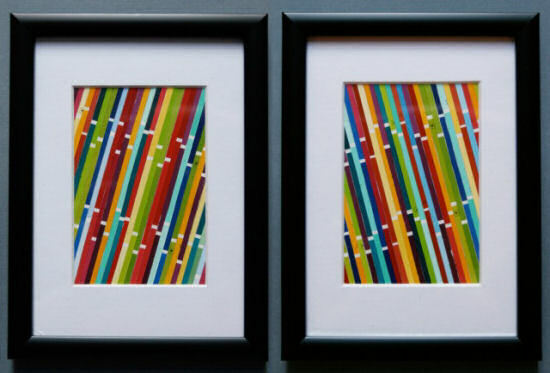 Simply arrange paint chip strips side-by-side, then mat and frame for simple yet stunning artwork. From Bower Power. 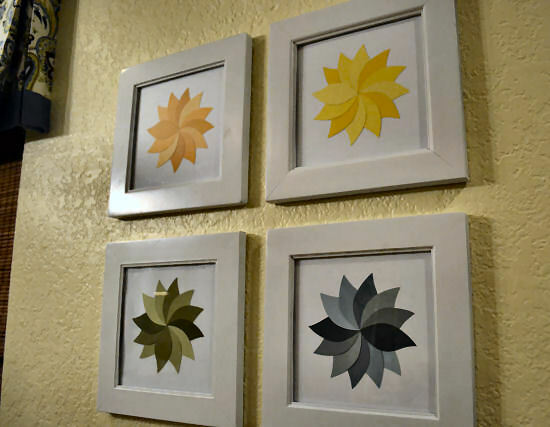 Make bold, graphic flowers by cutting petal shapes out of paint chips, attaching them to a white background, and framing with a white frame. 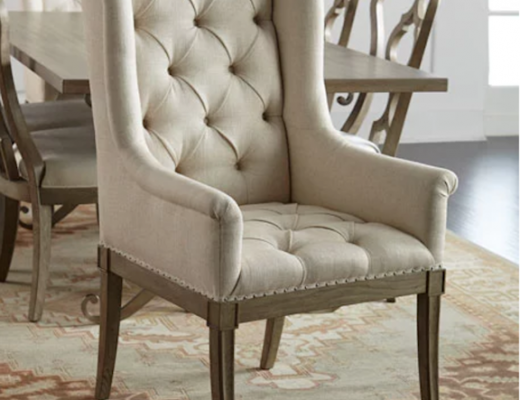 An original project from right here at Addicted 2 Decorating. 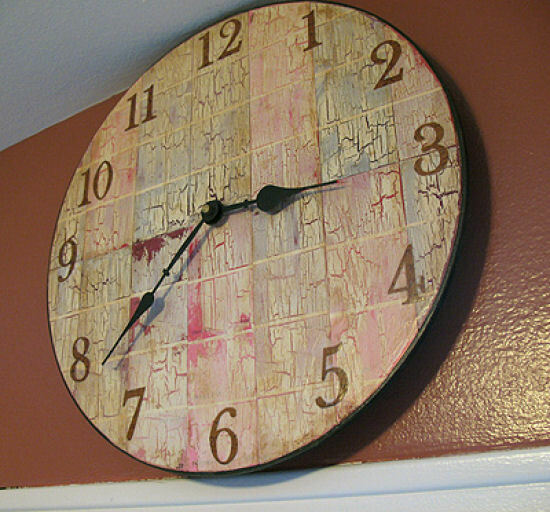 Thank you so much for the shout out on my crackled paint chip clock! This is a fabulous round up 🙂 LOVE those magnets! 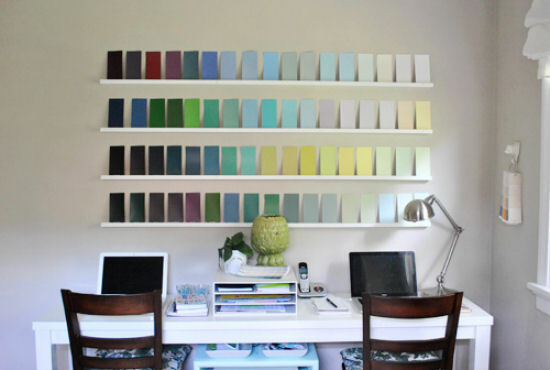 I really love these paint chip ideas especially the coffee table top. Thanks for this post!